Republic New Orleans is an elegant and sophisticated multi-entertainment venue where innovative design and music always take center stage. Owner Robert LeBlanc manages the venue along with two other hot spots, Le Phare and Loa, under the umbrella of Lifestyle Revolution Group. Following Hurricane Katrina, Robert and his partners understood the importance of developing a network that would repair the fabric of people’s social lives. The idea was to create various types of entertainment that would draw in the public and create an integrated nightlife community. Thus was born Republic New Orleans. Since those early days in 2005, Republic has played host to fashion shows, fund-raisers, theatrical performances, film screenings, comedy shows and live concerts. 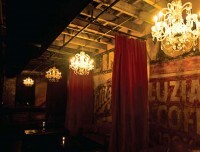 The venue draws local and national attention with its progressive events, classy design and seductive decor. 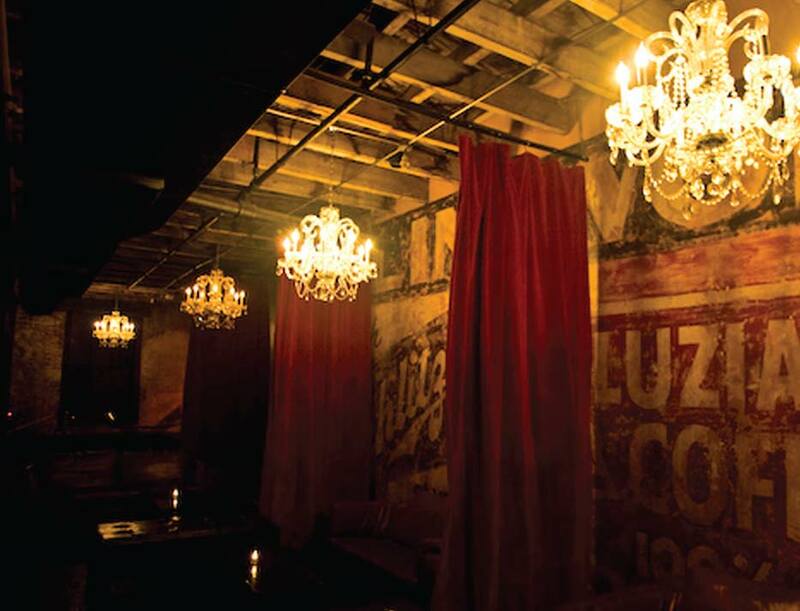 Cozy lounge areas, candlelight and retro murals reminiscent of age-old advertisements line the stone walls of the warehouse space, creating an enchanting ambience. Local musicians like Big Sam’s Funky Nation, Papa Grows Funk and the Benjy Davis Project have performed there, as well as national acts like George Clinton, Death Cab for Cutie, TV on the Radio and Ozomatli. When the who’s who visit New Orleans, they seek out Republic, a regular gathering place for celebrity athletes, musicians and stars. 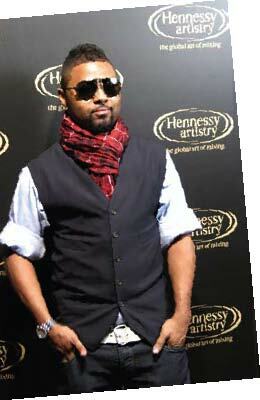 R&B singer-songwriter Musiq Soulchild performed at an exclusive VIP party at Republic New Orleans as part of the 2008 Hennessy Artistry Concert Series and spoke with us about his upcoming record. Your songs are genuine and from the heart. What inspires you as a lyricist? I grew up listening to a lot of classic soul music, R&B, jazz. Later on in life I started acquiring a taste for all genres. I just love music in general. Donnie Hathaway, Stevie Wonder, Marvin Gaye. Your album, LuvanMusiq, released in 2007, followed a three-year hiatus from the industry. There were a lot of transitions being made in my career. And it took time for things to take shape. I changed labels, changed management, changed production crew… I just changed my whole perspective of things. The last year and a half has been busy for you. Yes! I just wrapped up a new album [OnMyRadio]. December 9th. I’m really excited about it, [I tried to] incorporate a lot of different sounds and styles. I get bored doing the same stuff over and over again. What are some of those influences? A lot of hip-hop, jazz, rock, [and] pop music influences. Just stepping out of the idea of genres, so to speak. I like to make music that feels good, not just according to me, but I talk to people, get in their heads, find out what they like about music, take those things into consideration and try to incorporate it into what I do. What’s it like to be part of the Hennessey Artistry tour? I’m honored that they would call on me to be a part of it. I worked at HOB for a number of years and saw you perform there on two occasions, both times to sold-out shows. What is it about New Orleans that keeps you coming back? Just that. You know, that whenever I do come out people show up. What A Night! A Christmas Album Harry Connick Jr. The accomplished singer and pianist jazzes up classics like “Have a Holly Jolly Christmas,” “Jingle Bells” and “Winter Wonderland. The foursome’s first album in five years offers its special blend of Tex-Mex and Louisiana swamp rock with notable songs like the ultra-bluesy “Morgan City.